Oh, man. We had a lot of good footy this weekend. Time to do a roundup. Manchester City 4-1 Southampton: Dominant win for the hosts, to the surprise of no one. 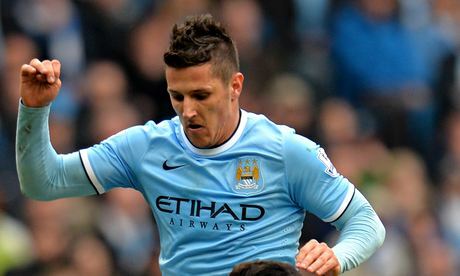 Stevan Jovetic scored! Aston Villa 1-2 Fulham: Felix Magath, the wonderful, wonderful Magath. Whenever he gets in a fi–sorry. Hugo Rodellaga’s winner on 86 netted three points for the Craven Cottage side, who are five points adrift of safety. Cardiff City 0-3 Crystal Palace. Tony Pulis has done a really good job at Palace, and barring a total collapse, it appears as if Selhurst Park will get another year of Premier League football. Newcastle United 0-4 Manchester United. The Magpies were destroyed by Juan Mata and Manchester United, as the Red Devils are making a late surge for a Europa League spot. Good luck on Wednesday. Chelsea 3-0 Stoke City. Jose Mourinho’s side can’t win the title anymore (per the Portuguese’s admission), but they can try their darndest! Two points behind Liverpool with six to play. Everton 3-0 Arsenal. The Toffees beat the Gunners soundly at Goodison Park, bringing them within a point of the final Champions League spot. 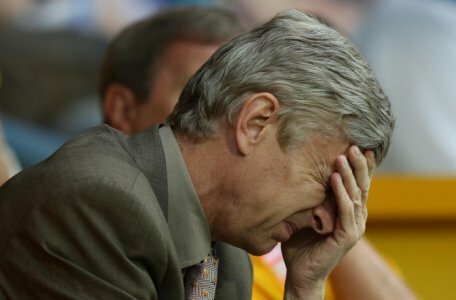 Arsene Wenger has some work to do to ensure Arsenal’s run of Champions League disappointment appearances continues. West Ham United 1-2 Liverpool. How much credit does the penalty spot get if Liverpool lift the trophy next month? Atlético Madrid 1-0 Villarreal. Atleti stay top, thanks to Raúl Garcia’s 14th minute header. Barcelona at the Calderon on Wednesday. Barcelona 3-1 Real Betis. Three goals for Lionel Messi, and the Catalans keep pace in the league. Real Sociedad 0-4 Real Madrid. Since their 2-1 loss at the hands of Sevilla, los merengues have scored 12 goals and conceded zero while thrashing Rayo Vallecano, Borussia Dortmund, and now Sociedad. They travel to Dortmund on Tuesday for the first time since Robert Lewandowski emasculated them last April. Málaga 4-1 Granada. A Champions League quarterfinalist a year ago, the Rosaleda side staved off relegation by pounding Granada, who are now just three points clear of the drop zone. Augsburg 1-0 Bayern Munich. IT HAPPENED. BAYERN LOST. LET’S ALL WRITE COLUMNS ABOUT HOW PEP HAS MADE THEM WEAKER. Juventus 2-0 Livorno. And now they’re not. 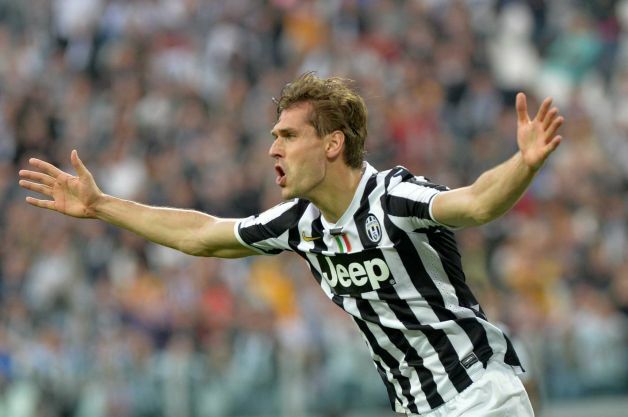 Fernando Llorente brace takes care of that. Paris Saint-Germain 3-0 Reims. The hosts were rampant on the mid-table side, as they prepare for their Tuesday clash with Chelsea in London. This entry was posted in Roundups and tagged Arsenal, Atlético Madrid, barcelona, Chelsea, Everton, Fulham, La Liga, Liverpool, Manchester City, Manchester United, Premier League, real madrid. Bookmark the permalink.